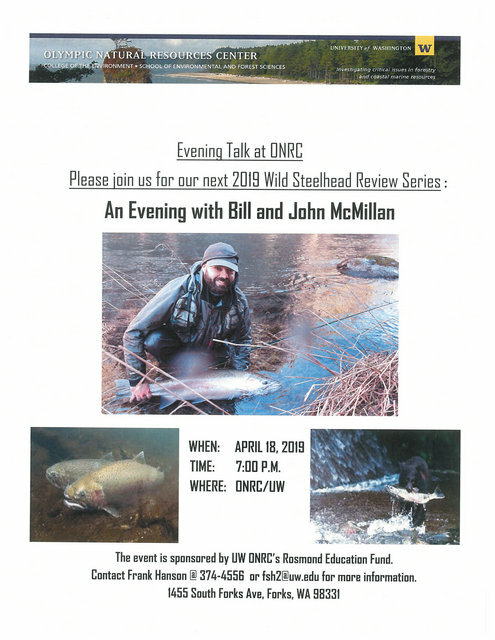 This Evening Talk is a continuation of the 2019 Wild Steelhead Review Series on the Olympic Peninsula and will be a combined presentation with Bill McMillan and his son John. Bill brings an extensive historical steelhead accounts in Washington State since the 1950’s forward. 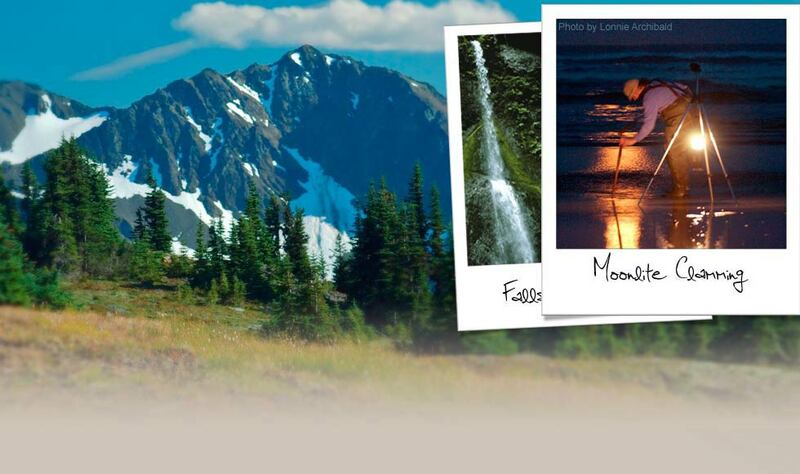 His short talk will lead into John’s work in the Northwest and the Olympic Peninsula. Please join us! Evening Talks at ONRC is funded through the Rosmond Forestry Education Fund, an endowment that honors the contributions of Fred Rosmond and his family to forestry, natural resources; and the Forks community. Refreshments will be served and a potluck of your favorite dessert is encouraged. For more information contact: Frank Hanson at 374-4556 or fsh2@uw.edu.